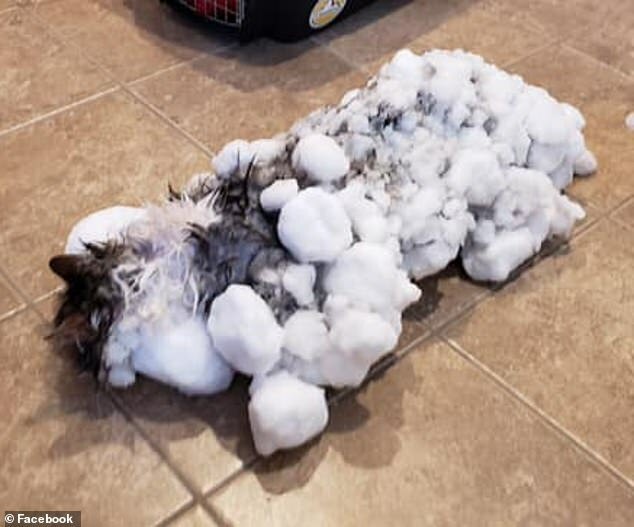 An ‘essentially frozen and unresponsive’ cat found buried under a mountain of snow has been saved by vets. 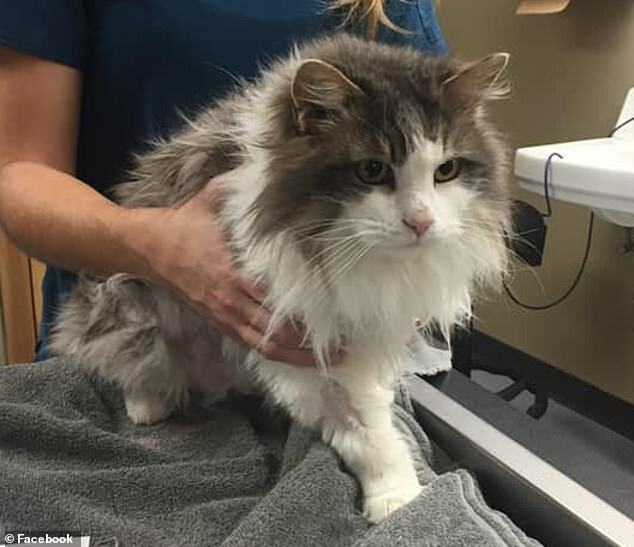 Fluffy, who lives in Kalispell, Montana, with her owners, was discovered last Thursday with her usually voluminous fur matted with ice. The city was suffering from freezing temperatures of between -1 (30F) and -8 degrees (17F) which saw icy fog as well as snow hit the area. 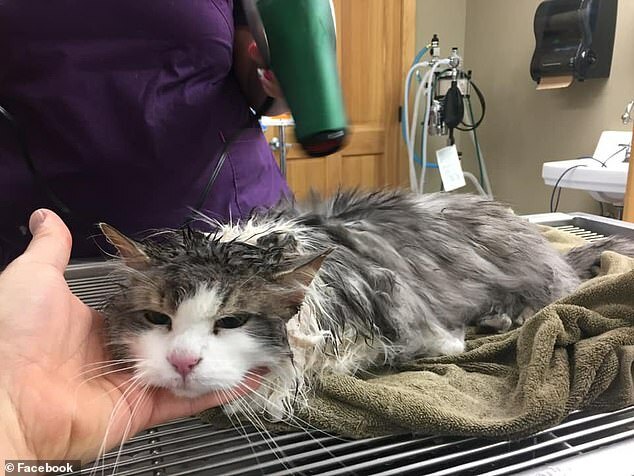 The blistering weather proved to be too much for the outdoorsy feline, who had to be rushed to the Animal Clinic of Kalispell after being found. Dr. Jevon Clark, who works at the clinic, recalled that when Fluffy was first brought in her temperature was so slow it didn’t register on the thermometer - which had a bottom range of 90 degrees. Cats should usually have a temperature of around 101 degrees, Mr Clark explained to ABCnews. After using warm water and blankets for around two hours, the feline’s temperature remained too low. The post read: ‘Amazing success and survival story from this week. Some clients found their injured cat buried in snow. Commenting on the photos, social media users were keen to offer their well wishes for the adorable cat. When I saw the picture I thought there was no way that poor kitty was alive. I am so happy that she lived. Cats really do have 9 lives and she just used one of them.